The company building a new nuclear power station in Cumbria says Toshiba "remains committed" to the multi billion-pound project. 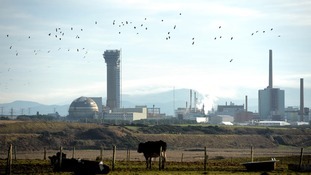 NuGen said the planned new plant at Moorside next to Sellafield was at the core of the UK's plans for providing safe, sustainable low-carbon electricity for generations to come. Toshiba chairman Shigenori Shiga announced he was stepping down after the company said it was on track to announce losses of 390bn yen (£2.7 billion) for the year to March. Toshiba has a 60% stake in NuGen - the company planning to build the site. The project has made significant progress since Toshiba took over as major shareholder in 2014. The site has already been proven as suitable for three Westinghouse AP1000® reactors, two phases of consultation have found the public overwhelmingly supportive of the need for new nuclear and have helped shape the plans for Moorside. The UK Government is supportive of NuGen, as a maturing and highly skilled nuclear organisation, and has remained firmly committed to new nuclear – stating that nuclear has a crucial role to play in securing our future energy needs, especially as we look to move to a low carbon society. The company postponed an announcement in which it was expected to confirm it is withdrawing from new nuclear projects outside Japan.